Soaked with coconut milk, condensed milk and cream, this decadent cake is perfect for all celebrations – big or small. Preheat oven to 350°F (180°F). Grease 13- x 9-inch (3 L) baking pan with butter; set aside. Whisk together flour, baking powder and salt; set aside. 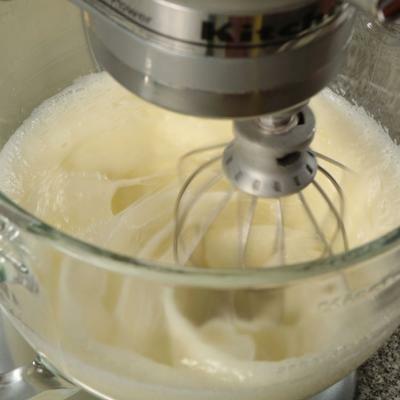 Using electric mixer, beat egg whites until stiff; slowly add in sugar until combined. Beat in egg yolks, one at a time. Beat in vanilla. Add flour mixture in three additions, alternating with two additions of milk, beginning and ending with flour mixture. Scrape batter into pan; smooth top. Bake for 30 to 35 minutes or until golden, top springs back when touched lightly in centre and edges start to pull away from sides of pan. Transfer to rack; let cool in pan for 20 minutes. 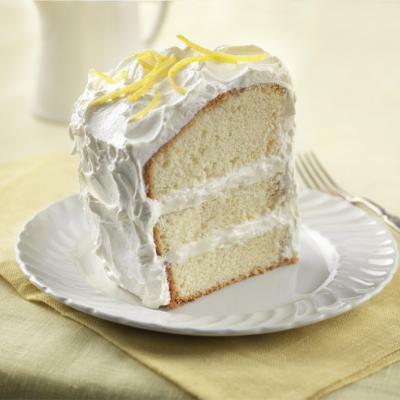 Using skewer or fork, poke holes all over cake; let cool completely. Whisk together coconut milk, condensed milk, 1/2 cup (125 mL) cream and salt; slowly drizzle half over cake, allowing it to soak in completely. Invert platter over cake pan; invert cake onto platter. 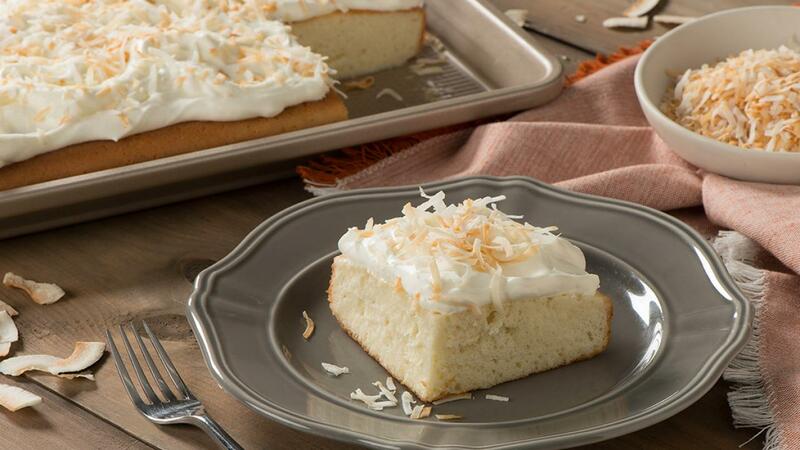 Poke holes all over cake; drizzle with remaining coconut milk mixture. Cover and refrigerate for at least 4 hours or overnight. 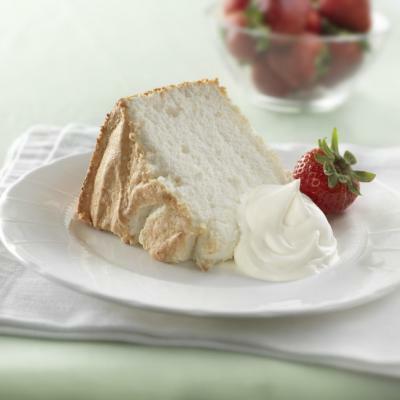 Before serving, whip remaining cream until stiff peaks form. Spread over cake and sprinkle with coconut. Add 2 tbsp (30 mL) rum or brandy to coconut milk mixture if desired. Toss coconut with ground cinnamon if desired.